Hop on the most innovative tour to hit Chicago in years! Gliding through the Windy City on an eco-friendly Segway is the coolest ride of the 21st century! Far easier than walking, and more unique and personalized than a coach tour, riding a Segway personal transporter is a once-in-a-lifetime experience. 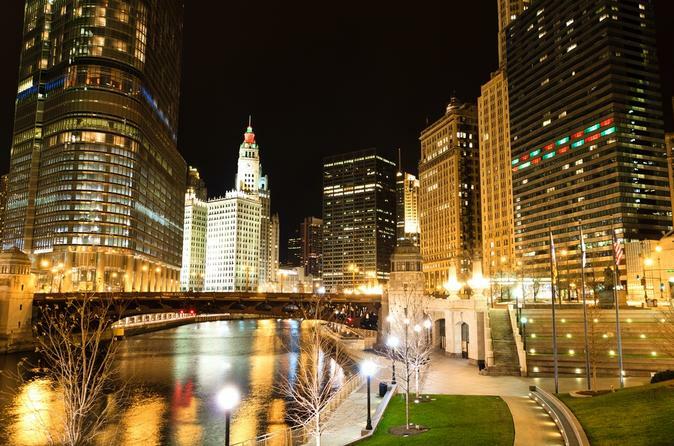 You'll see all the famous Chicago sights light up for the night Buckingham Fountain, Navy Pier, Lake Michigan and more. The tour begins with a 30-minute orientation session, then you'll be cruising on your Segway along Lake Michigan, through Grant Park and the Museum Campus. There are fantastic photo opportunities, plus you will receive a great orientation of Chicago from the informative commentary highlighting the city's past and present history and stories. The two-hour evening tours are limited to just eight passengers, so you can count on having a great, intimate experience. Discover what it's like to be a Windy City celebrity as everyone, yes everyone, turns to watch you glide by! The Segway is the first of its kind a self-balancing, personal transportation device that's designed to operate in any pedestrian environment. It's new, it's cool and it's a ton of fun!